I am fortunate enough to have a print hanging in the Surface Film III gallery this year, held in Denver to benefit the conservation group The Greenbacks. -Alex who thinks you should come hang out. The event will include three nights lodging, two half days of guided fishing, two half days of in class workshops, meals and a few things to take home. A deposit will be required to reserve your spot with the remainder due at check in. Everyone will have their own bed but rooms will be shared. Accommodations can be made in advance for buddies or couples that want to share a room or anyone that may wants to upgrade to a private room. Tap water and coffee are available but anything more is BYOB. There will be two people per guide, though just like the rooms, we can accommodate friends, couples or upgrade to have your own guide, just let us know in advance. You can also opt out of the guided or workshop portion and do your own thing, we can adjust price depending. 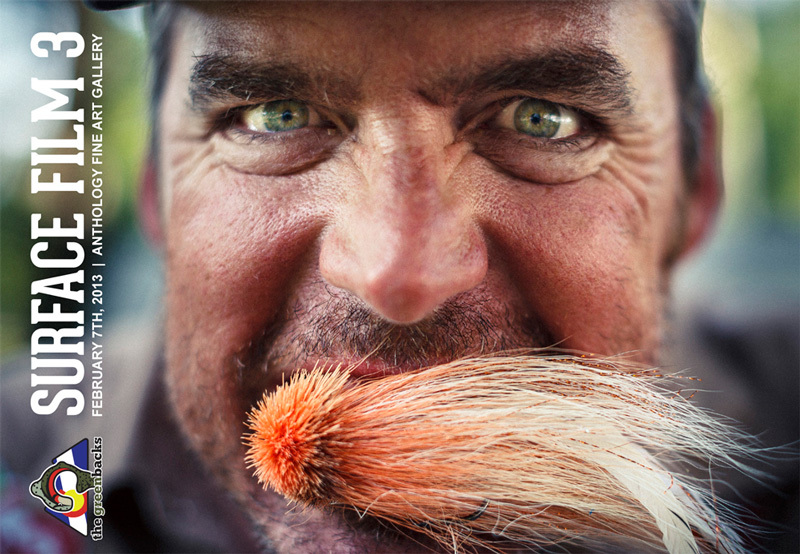 Workshops: Options and Rigging, Streamers, Fly Tying and Outdoor Photography. Agenda: Thursday -- Guests will arrive throughout the afternoon and evening. A host will be on hand through the evening (within reason) to get everyone settled. We’ll have some snacks but your on your own for dinner. Friday and Saturday -- We’ll provide coffee and a grab and go breakfast (cereal, roles, breakfast bars and fruit) and then hit the water early for a morning guided float. Guides will serve a hot grilled lunch on the water. A bit of time to get reorganized after fishing and then spend the rest of the afternoon in workshops. Dinner will follow with informal fly tying with one of the guides each evening. Sunday -- Time to head home though everyone has the option of reserving another half or full day on the water. 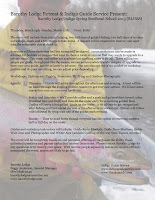 Guides and workshop instructors will include: Guide Kevin Morlock, Guide Steve Martinez, Guide Walt Grau and Photographer and Writer Alex Landeen (coming all the way from Tucson Arizona). The event will be completely hands on and personal, offering all the guests the ability to ask unlimited questions and pursue topics that interest them most. Please contact Barothy Lodge for any questions or to reserve your space. With several people signed-up before we’ve even officially announced the event, spaces are likely to go fast. -Alex who knows you want to come hang out.